In case you haven’t noticed, The Pastafarian parody religion and their Flying Spaghetti Monster are all over the American blogosphere this week. Their google count this morning was over 68,000 links. You can read about its origins at Wikipedia and follow the conversation by doing a word search at Technorati and making a watchlist for your News Reader. Or add the word “Jesus” and see what happens. FSM is being called an internet phenomenon and was created to poke fun of intelligent design being given the same status as evolution in schools. As for me, my interest is not arguing evolution. But when the blogosphere starts buzzing with a religious conversation, my ears perk up. I wish I could be around to add to the discussion, but alas, I leave tonight for Greenbelt Festival and will be offline for a few days. I wonder if the folk at EmergingEvangelism.com will be discussing it this weekend? Justin (from EmergingEvangelism) has been busy blogging about Pat Roberston’s proposed “mission trip” to Venuzuela (lets not get on Pat Robertson’s bad side!) but he might have some time for it. Hey – remember that new quasi-cult called Pastafarians that i mentioned a few days ago. 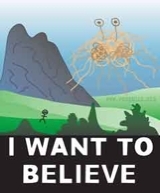 Well the Flying Spaghetti Monster (FSM) bumper sticker is currently being designed. One of the designers, Mark, hopes that readers will “refine it and perhaps submit it to a manufacturer of those footed Darwin Fish (who’s population is on the decline as they are gobbled up by jesus fish)”. Link HT: BoingBoing More on FSM in schools.